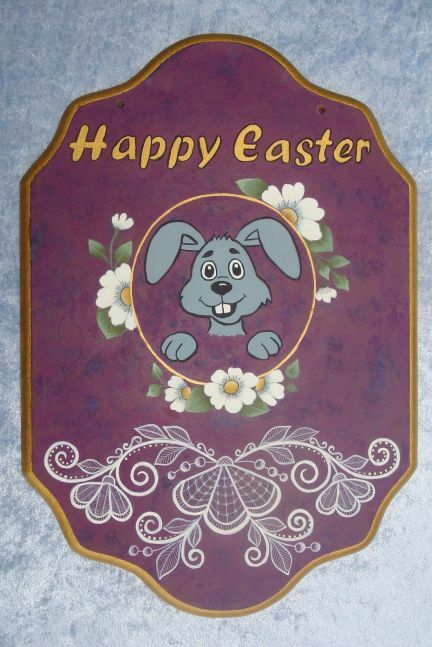 Easter plaque with bunny, white blossoms, and lace. Painted with acrylics.... DecoArt Americana & Dazzlig Metallics, Delta Ceramcoat, Matisse Background, JoSonja's Artist Colours. Pattern includes photo, instructions, and line drawing.